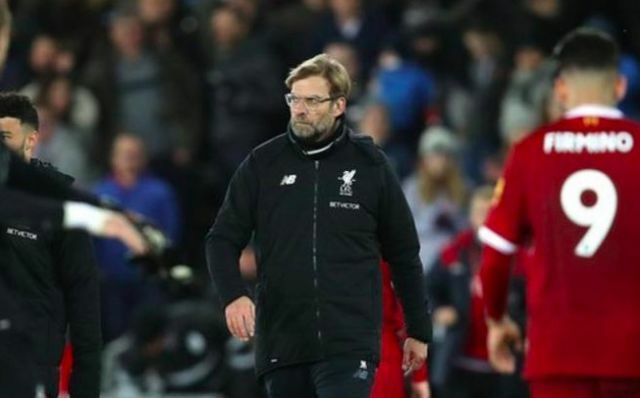 Liverpool endured a lethargic, horrible Monday evening at the Liberty Stadium last night, which effectively ruined our brilliant work a week ago at Anfield against Manchester City. Jurgen Klopp’s side, the strongest available to him, lost 1-0, despite dominating possession and chance count. Towards the end of the game, Klopp turned around and had an argument with a Swansea fan, with a steward getting in the way to stop it going any further. The German claimed he’d been goaded all game and couldn’t help himself, with his team playing so poorly. “He was shouting at me all the time. Sorry, I reacted one time, I remind myself I am a human being and not a professional manager who takes that all the time and they can say whatever they want,” Liverpool’s boss told his post-match press conference, cited in the Metro. “At one point, I said ‘please’. He felt quite good because nobody can do anything. He is in a good position. I’m sure I’m not the first manager. I think he’s a season-ticket holder. We’re not sure there should be anything too much more to say on the incident, in all honesty. Klopp and his Liverpool side now need to dust themselves down for the West Brom FA Cup game next Saturday. Remember, the last time we endured a disappointing loss, we went on an 18 game unbeaten streak.